Zee Kannada has become a favourite amongst viewers by creating niche programmes. 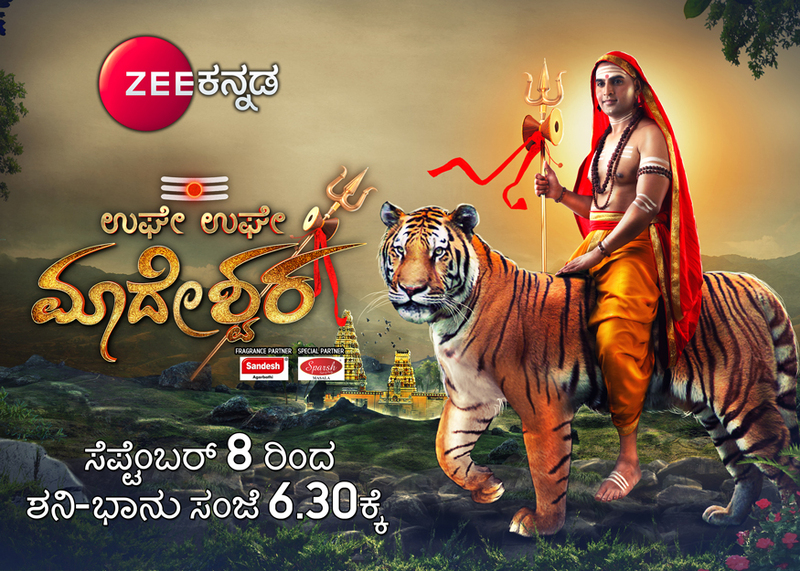 After the success of Yare Nee Mohini, Mahadevi, Nagini, and Brahmagantu; the launch of a new fiction show, Ughe Ughe Mahadeshwara is expected to woo the viewers with the legendary folk story of our land, the story of the male lord Mahadeshwara, starting September 8th between 6.30 PM – 7:30 PM only on Zee Kannada. Male Madeshwara Mahakavya is one of India's famous epic; devotees strongly believe and worship Madeshwara, as a part of lord Shiva. The story of Shravana, a cruel King, being defeated by Male Madeshwara in the form of Linga, is assured to take the viewers to a divine devotional altitude. Shravana wins over death by the blessings of lord Shiva and in return captures Parvati, lord Shiva's wife. Infuriated, Linga from Shiva's matted hair resided itself in Shivasharane Uttarajamma's womb with the aim take birth to destroy Shravana and control Kali in Kaliyuga. It is a first-of-its-kind effort by a Kannada production house with the set of a splendid palace Indraloka, which was constructed by the finest artists in the country. There has never been even a movie about the story of Male Madeshwara because of its magnitude and wider aspects. Today, a team of experts succeeded in creating a framework for the story with years of effort with the help of researchers making every aspect of the serial legendary. Ughe Ughe Madeshwara serial is directed and produced by ace director K. Mahesh Sukhadhare under the banner of Sukhadhare Pictures. Mahesh has directed super hit films like Sambhrama, Sainika, Sarvabhowma and Ambarersha. Commenting on the launch, Mr. Mahesh Sukhadhare said, "I am proud to be working with the folk serial Ughe Ughe Madeshwara, as we are the pioneers in South India for producing a serial of this stature. We are thrilled to mesmerize the audiences with providing them a whole new experience this September." 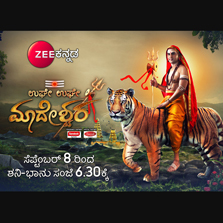 Raghavendra Hunsur, Business Head, opines that Ughes Ughe Madeshwara is the biggest offering to Zee Kannada viewers. He believes the viewers will encourage the effort effort to bring alive a very important folk literature. Tune-in every weekend starting September 8th between 6.30 PM – 7:30 PM.